Men have a reputation for being tricky to buy for at Christmas or birthdays. It’s often easier if they have a passion for something, say a hobby like fishing or golf. With two brothers and a father to buy for, I’m always on the look out for new ideas. It’s very possible though to come up with thoughtful or different presents if you look around. Even when you go for tried and tested gift ideas, you can opt for something a little bit different. So if you are thinking of socks, pick out some bamboo ones, or some fun ones or really warm ones if your gift recipient spends a lot of time outside. Alcohol is often a popular choice, but simply buying a bottle can seem a bit uninspired. How about sending a bottle with a message on it instead? A bottle with a personalised label adds a lovely touch. It’s Your Bottle have a great range to choose from and there are traditional greetings as well as comic ones. A shirt makes a nice gift and whilst it’s a practical one, it’s also one where you can pick out an item that will suit an individual. 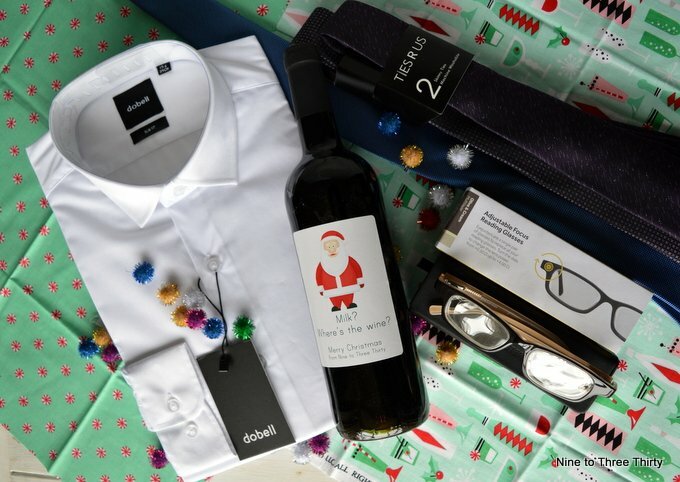 Pick out a colour that will suit them to wear or maybe encourage them to try out something a bit different like a slim fit shirt like this one from Dobell. It’s a flattering fit and has a quality feel to it. Reading glasses might not sound like an obvious gift, but these ones from Eyejusters are something different. You can adjust to suit you, so you can adjust them to suit whatever focal length you need – I find that what works for the computer might not work for reading or the phone. If your prescription changes no problem, if your eyes need different focuses again no problem as each lens can be adjusted separately. You can even share them with a friend and they can adjust to suit them. If you have ever gone for a meal with someone who has forgotten their reading glasses, you will know that you will have to read out the menu to them, but this way you can just pass your glasses across. A nice tie is a good gift to give and it can allow a man to ring the changes for his work wardrobe and find something to complement his colouring or his eyes. I’d suggest picking somewhere to shop like Tiesrus because it’s better to have a good selection and be able to get the colour or the type of design you want. They really do have a comprehensive selection of types, styles, colours and patterns. I really like the quality too and they come nicely packaged. Men are quite hard to buy presents for, but these are some great ideas! I love the idea of the Eyejusters – just what my husband needs. He is so difficult to buy for. These are two great ideas for presents! I like the sound of the glasses – fab to be able to adjust them. 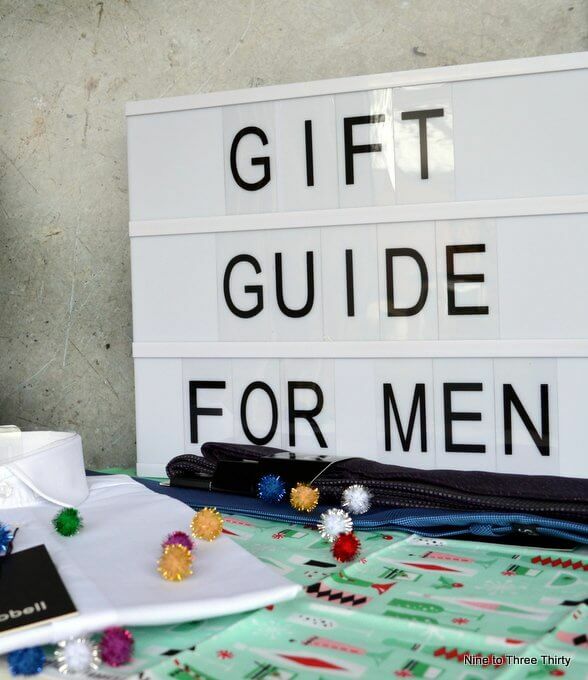 Thanks for the suggestions for all the finicky men to buy for, which I’m sorry to say I’m one of them!